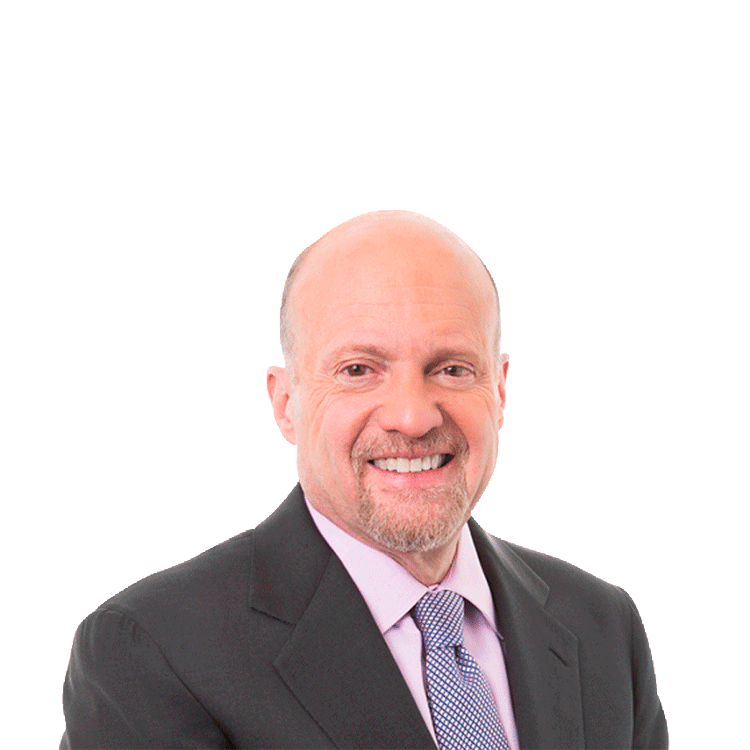 Jim Cramer talks about how Brexit didn't impact the Chinese and how it's the right time to look at some re-ratings of a few stocks. Crouching tiger, hidden by Brexit? I'm talking about the amazing strength in China post the Leave vote, strength that's been ignored as we focus on the capital destruction that's occurred in the wake of the U.K.'s vote to leave the European Union. The strength has manifested itself in multiple ways: a 2.7% rally in the Chinese stock market's main index, a series of up days in the Baltic Freight index as well as a rally in oil and a turn up in copper, both viewed as signs of increased Chinese demand. But Tuesday, obscured among a host of cross currents, we got not one but two reports on the Chinese consumer that were incredibly heartening and totally out of whack with the bear case: Chinese results from Carnival Cruise (CCL - Get Report) and Nike (NKE - Get Report) . Both of these discretionary consumer companies have at their core big brands that cost more than most Chinese could have afforded just five years ago. Sales are spurred by the great migration from the country to the city, a similar trajectory to what has propelled the sales of Action Alerts PLUS charity portfolio holding Apple (AAPL - Get Report) . Tuesday we got further evidence of an acceleration in consumer spend. Arnold Donald, CEO of Carnival, talked up China as the strongest portion of the Carnival world, which includes extensive Latin American, Western European and, of course, American travel. "China, which is destined to be the world's largest cruise market, continues to deliver accretive returns on invested capital," Donald noted. "We again achieved significant earnings growth this quarter and continue to fully expect earnings growth for the full year directly proportionate with our over 60% capacity increase." The company is adding another 30% to its capacity for China and yet it represents just 5% of capacity, and it wants to grow that capacity quickly because of the consumer demand. While analysts attempted several times to get Donald to say there had to be some slowing in the market or that the returns had to be coming down, he refused to deviate from the positive message about the country's growth prospects. Nike was even more definitive: China remains the leading growth market for the company. "In Greater China we had a truly incredible year," Trevor Edwards, president, Nike Brands, pointed out on the call. "Q4 revenue grew 23% and we posted full-year growth of 27%, with strong growth in nearly every category and across footwear and apparel." Plus, Nike experienced an astounding 44% increase in direct to consumer sales in China and it has introduced a new running shoe concept store in Chengdu, which "significantly exceeded our expectations within the first few weeks" of its existence. CFO Andy Campion chimed in: "China continues to be one of the world's largest and fastest growing markets in terms of consumption." Campion went on to add that "in addition to tremendous revenue growth, China delivered strong gross margin expansion," which contributed heavily to what otherwise some thought was a tepid overall bottom line. Now, there is no doubt that the world is a financially worse off place post-Brexit, which many of the pro-Brexit tweeters say is the cost of overthrowing European Union tyranny. The same apparently cannot be said for China. The data points are up, not down, and perhaps that's why the blow seems to have been softened, more than any realistic belief that the humpty dumpty union's going to be put together again. We've got re-ratings all over the place and all for different reasons. Re-ratings happen when an event occurs that forces us to rethink what we are paying for various stocks. Classic example? The hotel and time-share stocks. This morning a very smart buyer, Apollo Global Management (APO - Get Report) , announced a definitive agreement to buy Diamond Resorts International (DRII , a giant time-share company, for $30.25 per share in cash. While Diamond Resorts had been for sale for a while, and therefore had a bit of a takeover premium in it, the stock's up almost 24%. So what's happening because of that? Wyndham (WYN , with a somewhat similar model and rumored to be a potential buyer of Diamond, has popped 4% on a belief that perhaps we simply weren't paying enough for its assets before this deal. That's right, even though the quarter was subpar, the stock's going higher: classic re-rating. Similarly, Marriott Vacations Worldwide (VAC - Get Report) , which has been in a terrible bear market for ages, is coming back, rallying almost 4% today alone. Marriott (MAR - Get Report) spun off Vacations as a separate time-share entity and initially it did well only to find itself caught up in what can be called a fantastic fear of Airbnb. Judging by how the stock acts now, the fears might be overblown even as I think the world of Airbnb and am not suspicious of its $30 billion valuation that the company is attempting to seal with a current round of funding. These are welcome moves given that so many feared that travel has been curbed both because of terrorism and the strong dollar. Next re-rating? The food business. General Mills (GIS - Get Report) Wednesday morning reported a good quarter, not a barn burner, but a good one, with a small level of organic growth and a fantastic dividend boost from 60 to 66 cents per share. That boost keeps its yield at almost 3% despite the run. Many naysayers would pronounce the valuations foolhardy. That's something that I leave to market participants. The fact is that worldwide turmoil, whether it be from Brexit or terrorism, or a fear of a recession, allows us to pay more for these stocks when they continue to deliver consistent earnings with phenomenal cost takeout, as was the case with General Mills, which manages to hack its way to a more than 400-basis-point improvement in gross margin. Action Alerts PLUS, which Cramer co-manages as a charitable trust, is long AAPL, KHC and COST.